Besides, the initial share sale plan of Krishana Phoschem is under way while that of Steel City Securities closed earlier this month. To tap upbeat investor sentiment, three small and medium enterprises (SMEs) -- Nitiraj Engineers, Global Education and Tanvi Foods -- will come out with their initial public offerings (IPOs) this month to raise about Rs 39 crore. According to draft papers, Nitiraj Engineers plans to mop up Rs 22.01 crore through its IPO and Global Education, which will sell 6.83 lakh shares, is expected to garner about Rs 10 crore and Tanvi Foods (India) Private Ltd Rs 6.6 crore. 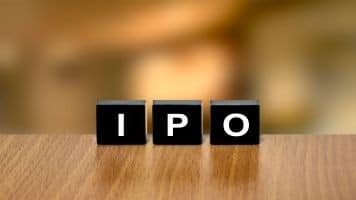 Nitiraj Engineers' IPO will be open to public subscription between February 20 and March 1 and that of Global Education will be on between February 16 and February 21 whereas Tanvi Foods' public issue will open on February 17 and close on February 22. Nitiraj Engineers and Global Education will get listed on NSE's small and medium enterprises platform, Emerge, while Tanvi Foods will list on BSE's SME platform. Proceeds of the issues will be utilised for business expansion plans and working capital requirements, among others. The stock exchanges -- BSE and NSE -- had launched SME platforms in March 2012, becoming the only two bourses to offer such a segment in the country. Since then, several companies have got listed on them and some have even shifted to the main board. According to Prime Database, 41 SMEs together raised Rs 358 crore through initial public offerings in 2016. Most of the funds were raised in September.